The serpentine twists in the plot and the engaging screenplay manage to keep you alert and attentive, except when Janaki decides to have an abrupt intermission and an open end, which stands out like a sore thumb. Ideally, it would’ve worked better had she thought of a firm resolution. On the whole, YEH HAI BAKRAPUR employs a comic tone to tell a serious story. Armed with a simplistic, but innovative plot and an engaging screenplay, this small little film deserves a watch because it’s made with heart. Janaki Vishwanathan’s direction is very good and is suitable for the script. However, since the script has such limited appeal, her able narrative style won’t really help much in widening the film’s appeal. On the whole, Yeh Hai Bakrapur is an interesting fare but one which does not have any commercial value. At the ticket-windows, it will fail to make any impact whatsoever, its unusual title and absence of face value only adding to its tale of woes. Janaki Vishwanathan’s concept that highlights the little ironies of life and fickleness of human nature is a sure-shot winner. The slice-of-life tale is convincing and thus believable. The village has been beautifully captured on camera and the actors’ genuine performances lend authenticity to the setting. Overall, the film works for its quirky premise. . A slow build-up and a comparatively hurried climax are spoilers too. Even the dialogues are not as funny as they should ideally be. 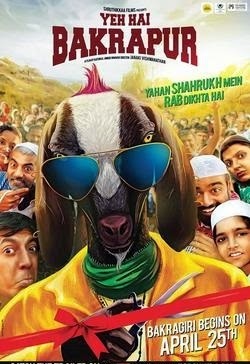 To sum it up, the film is as unique as superstar Shah Rukh Khan, but it lacks his charisma. Yeh Hai Bakrapur gets off to an interesting start but plunges into a lull soon after. It is hard to believe that an issue so volatile could be woven into such a yawn-inducing story. The screenplay seems to be that of a short film which was expanded to a 97-minute-long feature. 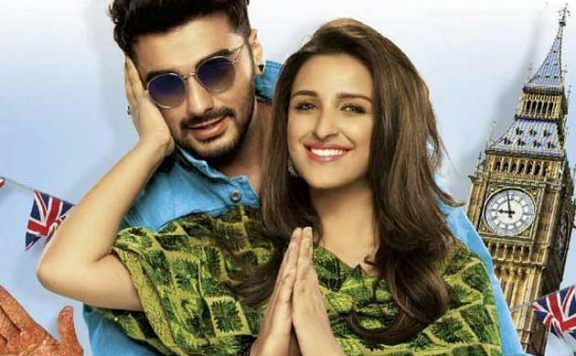 Despite all of this and some praiseworthy performances by the entire cast — Yeh Hai Bakrapur fails to live up to its early promise due to lacklustre direction. The film is also shabbily edited with abruptly cut scenes in several places. But the story about this miraculous goat heads nowhere. The satire is too consistent, and the same ignorance repeats itself in different ways. Inexplicably, there is no third act. It feels like the filmmakers ran out of unconventional characters, and didn’t even bother to end on an ambiguous note. There is no excuse for lazy storytelling, especially when the setup is potentially ahead of a Peepli Live. What works for Bakrapur is also the reason for its downfall. The idea of using Shah Rukh’s name to create interest fades away in the first half and so do the jokes written around it. Also the writing is poor and mostly centered around the goat leaving no scope for the peripheral characters to develop. The pace is extremely slow and instead of using humor to propel the storyline forward it becomes a futile exercise in making the film more interesting. This Bakrapur makes a bakra out of those expecting something above the ordinary. Yeh Hai Bakrapur could have been quite an intelligent take on India’s affiliation for blind faith. But the film somehow manages to kill its caliber with its shabbily done screenplay and reckless editing. The script lacks intuitiveness which was expected of it. Not entirely unwatchable but the film leaves by a sinking feeling which cannot be the residue of a confident product. It is a crucial story told without any keenness.